Tegan and Sara just released their new video for "Boyfriend," off their upcoming album Love You to Death which drops June 3rd via Warner Bros. Records. Parenthood's Sarah Ramos and designer Rachel Antonoff (sister of Bleachers' Jack Antonoff) both make cameos in the video which, like a lot of people out there in relationships, deals with commitments and often times keeping those close relationships a secret or on the DL. But I don't want to be your secret anymore"
Although it's titled "Boyfriend," the song could relate to both guys and girls. Who hasn't dealt with being with someone and wanting to show the world how much you care about them but instead, they sort of want to keep it a secret for whatever reason. 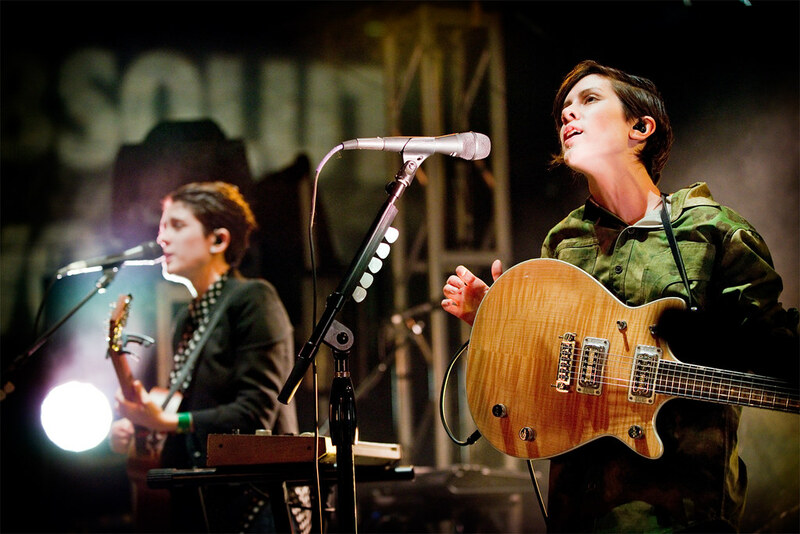 Earlier this week, Tegan and Sara announced a 40-date North American headlining tour, kicking off September 9th in Saskatoon, Saskatchewan and running through November 16th in Fort Lauderdale, Florida (see below for full list of dates). Tickets will go on sale this Friday, April 29 at 9am local time via http://teganandsara.com/shows/.